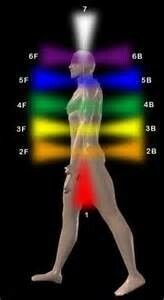 The human body is made up of energy and is in fact surrounded and interpenetrated by a human energy field. If the human energy field is healthy, balanced, clear, and charged, it supports optimal health and well-being on the physical, emotional, mental and spiritual levels. If it is not, it does not support optimal health and well-being and dis-ease and/or dysfunction can begin to manifest. Energy healing, specifically Brennan Healing Science utilized by Christine, balances, clears, and charges the human energy field facilitating healing and optimal well-being on the physical, mental, emotional and spiritual levels. It also facilitates alignment with the client’s life task and soul longing, and connection with and expansion of each client’s individual and unique Divine Essence. Christine is a Certified Brennan Healing Science Practitioner (an Energy Healer who has graduated and become certified from the Barbara Brennan School of Healing). As an Energy Healer, Christine balances, charges, clears, and aligns her clients’ energy fields to facilitate their own natural ability to heal. The work is very holistic and helps facilitate optimal health and well-being on clients’ physical, emotional, mental and spiritual levels. Energy healing sessions take place while the client is fully clothed laying on the massage table, and entail the laying on of hands on various positions on the client’s body. At the beginning of the session, Christine speaks with her client regarding their background and presenting complaint, and assesses her client’s energy field (including reading his/her Chakras, perceiving the levels of the field, the Hara line, and the client’s Core Essence). She then proceeds with an energy healing tailored to the client given any issues arising in the client’s field and/or raised by the client during the intake. 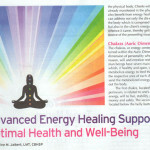 Christine offers a variety of energy healing services, including but not limited to Hara healings, core star expansion, chelation to balance, clear, and charge the energy field, chakra balancing and restructuring/repairing, cord healings, ancestral cord healings, work in the bio-photonic field and with quantum energetics, brain balancing, trauma release, body-mind psycho/energetic therapy, healing child consciousness woundings/traumas, soul retrieval, channeling, surgery preparation/assistance/and recovery, working with illness that has manifested in the physical body, working with emotional and mental issues including anxiety, depression, disappointment and heartbreak. All sessions are guided and often incorporate essential oils, sweet grass or sage, and shamanic cleansing. “I went to Christine for an energy healing session after being unable to resolve on my own (using yoga, tiger balm, and hot baths) the chronic tension and tightness in the right side of my neck and shoulder. The day following my energy healing session with Christine, I noticed a significant reduction of the tension and tightness in the right side of my neck and shoulder, and after two days the tightness was gone. Not only was the physical tightness relieved, but my mental-emotional state was more relaxed and at ease. “I began to work with Christine in March 2013. I had done work with a graduate Brennan practitioner in 1995 and found the work to be beyond compare to any process I had ever done. When I met Christine I was working with a new layer of trauma and grief. 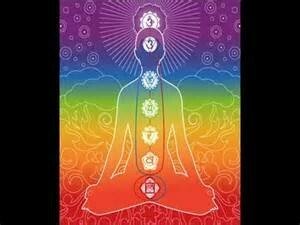 She stabilized my chakras and fixed the base of my spine. I had fractured it at age 14. I had experienced trauma and had a lot of pain. I had chiropractic treatments to no avail for years. Christine cleared the energy in my spine and I have not had any problems since. It was nothing short of miraculous. Because of Christine’s skill level, I was able to touch into major trauma memory and clear it for the first time in my life at age 59. 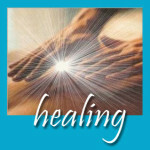 Her expertise, skill level and highly developed psychic ability is the perfect package for complete core healing. I believe I received superior work from the hands of a student. Now that she has graduated and become certified, I can only imagine what her gifts will bring to other clients as she grows and hones her craft. I feel blessed to have found Christine when I did. Truly an outstanding healer.